Florence Marian McNeill was born in Saint Mary’s Holm on the island of Orkney, where her father was a minister. She attended the University of Glasgow and the University of Edinburgh and travelled in Germany and France before graduating in 1912. She became an organizer of the Scottish Federation of Women's Suffrage Societies before moving to London to conduct social research. 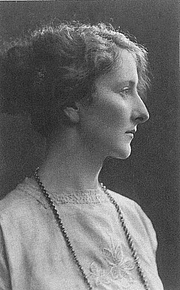 She went to Athens, Greece after World War I, but returned to Scotland in 1920 to work as a freelance journalist and writer. She founded the Clan McNeill Association in 1932, and was a vice president of the Scottish National Party. She also worked for the Scottish National Dictionary Association. Her best known work was The Scots Kitchen (1929), which included many popular traditional recipes, and her extremely detailed study of Scottish folklore and folk beliefs in four volumes entitled The Silver Bough (1957-1968). This much-loved and highly-regarded work remains a classic of literature. In her later book, Hallowe’en (1970), Florence McNeill made use of photography and illustrations to record ancient Scottish rituals and traditions. She was awarded an MBE in 1962. F. Marian McNeill is currently considered a "single author." If one or more works are by a distinct, homonymous authors, go ahead and split the author. F. Marian McNeill is composed of 4 names. You can examine and separate out names.